When mathematics achievement just isn’t adding up, we can help you improve your results. 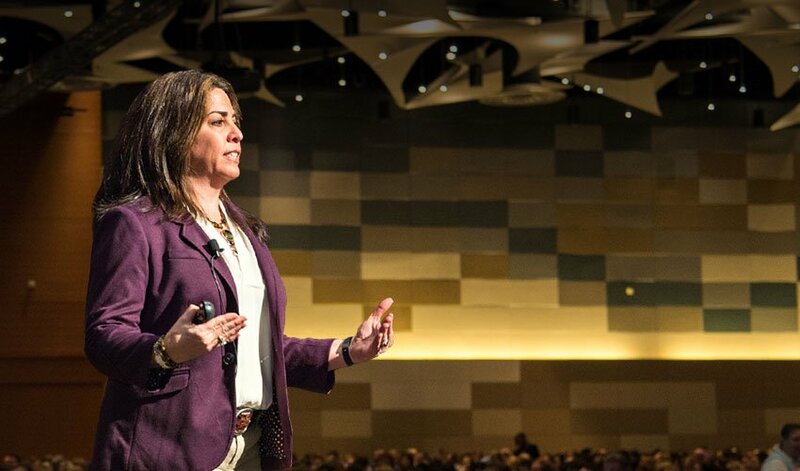 Built on proven best practices, and based on decades of firsthand classroom experience, DNA Mathematics focuses on enhancing the knowledge, skills, and effectiveness of mathematics teachers so students can receive the best education possible. Ready to start improving mathematics teaching and learning? Take the first step by downloading a white paper created by Juli K. Dixon, Edward C. Nolan, and Thomasenia Lott Adams. 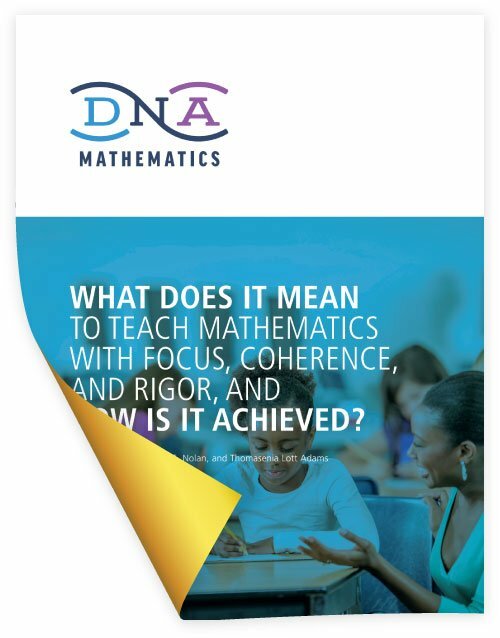 Bring DNA Mathematics experts to your school or district for a deep dive into relevant mathematics content, effective pedagogical actions, appropriate classroom norms, meaningful assessment, and collaborative teacher team efforts. Explore mathematics workshops, institutes, and summits to enhance your professional development. 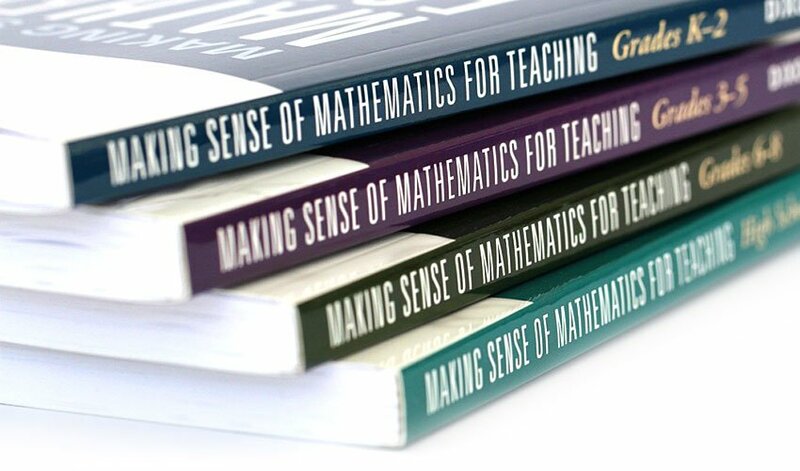 Our Making Sense of Mathematics for Teaching series comes complete with two video episodes for each chapter. 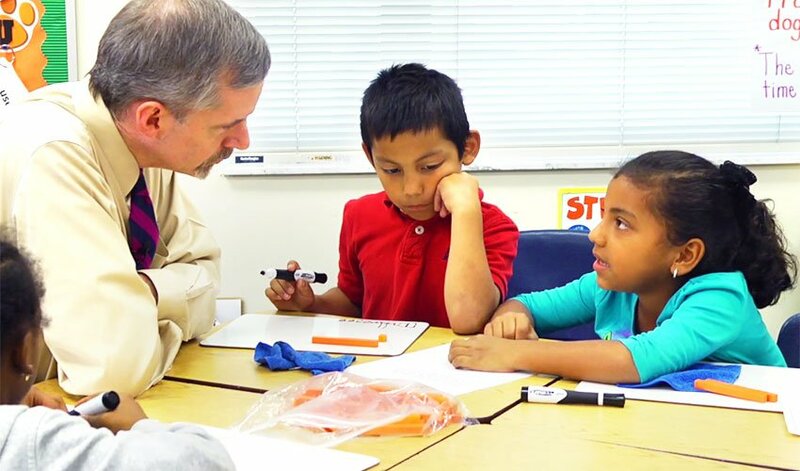 This modeling of good mathematics teaching provides opportunities for teachers to discuss what is happening in their own classrooms with the same mathematical content.